Colin Kaepernick speaks onstage at ACLU SoCal Hosts Annual Bill of Rights Dinner on December 3, 2017 in Beverly Hills, California. 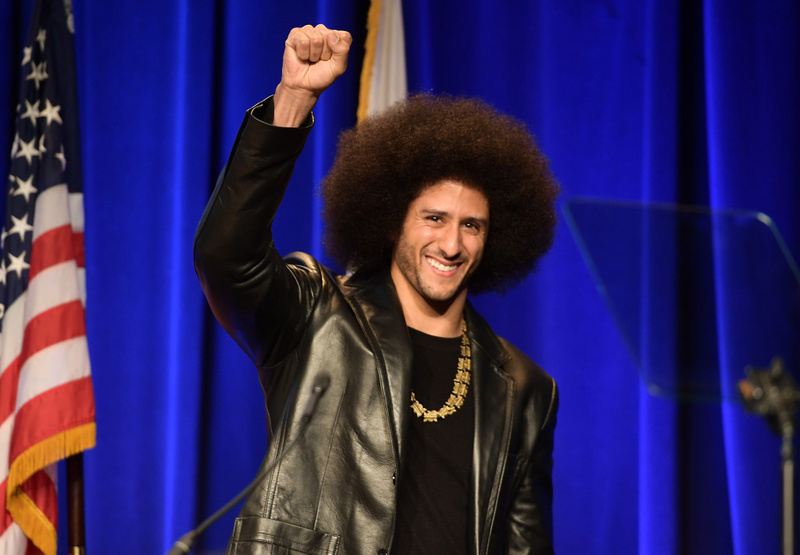 Amnesty International has given Colin Kaepernick its top human rights award for his public opposition to racial injustice. The former San Franciso 49ers quarterback is Amnesty's 2018 Ambassador of Conscience. 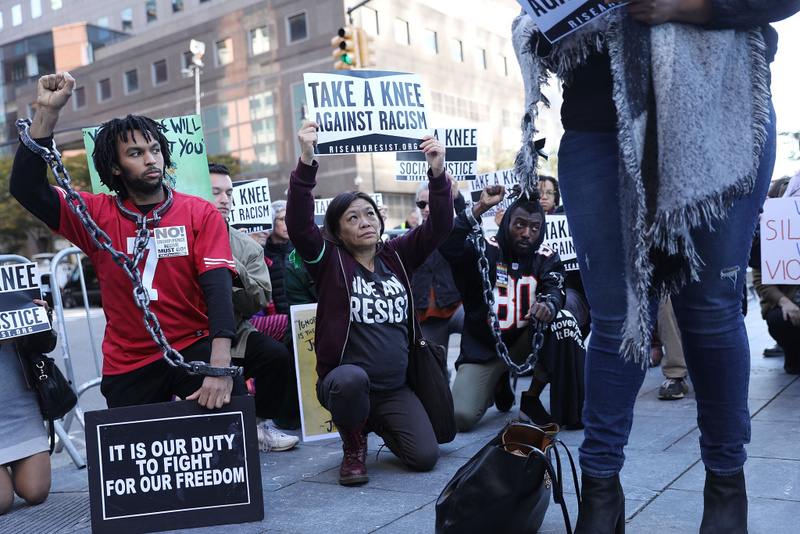 A coalition of advocacy groups 'take a knee' outside of a hotel where members the quarterly NFL league meetings are being held on October 17, 2017 in New York City. Accepting the award in Amsterdam, the capital of the Netherlands, Kaepernick said he shares it "with all of the countless people throughout the world combating the human rights violations of police officers." "Kaepernick launched a massive controversy in 2016 for kneeling while the national anthem was played to protest police brutality. When other players joined him, President Trump called on team owners to fire them. "San Francisco released Kaepernick and he hasn't been signed by any other team. 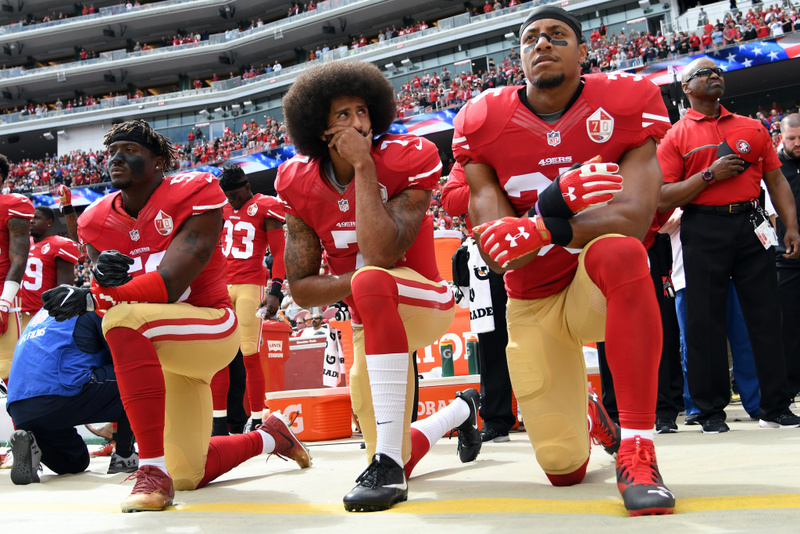 "Amnesty International Secretary General Salil Shetty says the "vitriol" Kaepernick's peaceful protest evoked from people in power makes his "commitment all the more remarkable." "In Kaepernick's acceptance speech, the award-winner described police killings of African-Americans and Latinos in the United States as lawful lynchings. "Racialized oppression and dehumanization is woven into the very fabric of our nation — the effects of which can be seen in the lawful lynching of black and brown people by the police, and the mass incarceration of black and brown lives in the prison industrial complex," Kaepernick said. 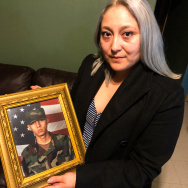 "How can you stand for the national anthem of a nation that preaches and propagates, 'freedom and justice for all,' that is so unjust to so many of the people living there?" 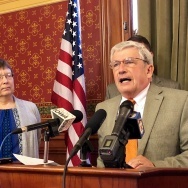 he said at Saturday's award ceremony." 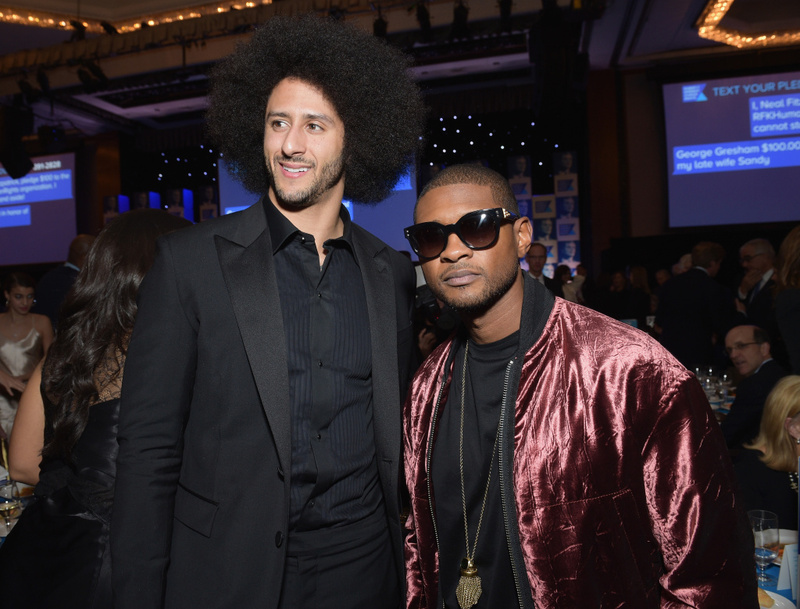 Colin Kaepernick (left) and Usher Raymond attend Robert F. Kennedy Human Rights Hosts Annual Ripple Of Hope Awards Dinner on December 13, 2017 in New York City. 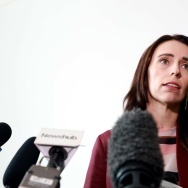 Previous award recipients include anti-Apartheid campaigner and South African President Nelson Mandela and Malala Yousafzai, the Pakistani schoolgirl who campaigned for girls' right to education even after surviving being shot by Taliban militants.